Ha, I've caught them while they are all out in the open. And what will I do? 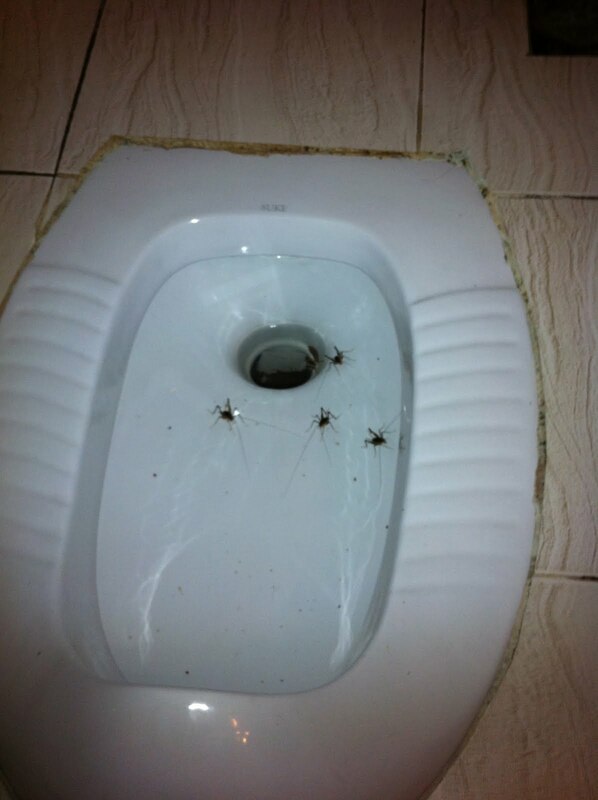 I will flush them down the toilet, of course! (Yes, that is my very OWN squatty potty.) Heeheeheehee HA HA! They will be gone for good! But wait.... OH NO! They're jumping out at me! SSSSCCCRREEEEEEEEECCCHHH!! ::running,tripping,falling out of the bathroom:: WhAt HaVe I dOnE!? I've released them all! NNOOOOOOOOOOOOOOOOOOO! Crap. Almost a month here and I haven't been able to use this toilet. Not once!! I'm too scared they will attack my bottom. But hey, maybe they won't like their nice porcelain home after a few squatty visits, heh? Now that's an idea.... but who can I pay to squat over my dear little friends? It won't be me!! i would say that is literally creepy.